I’m going to tell you right off the bat, that I don’t know how much this thing weighs. 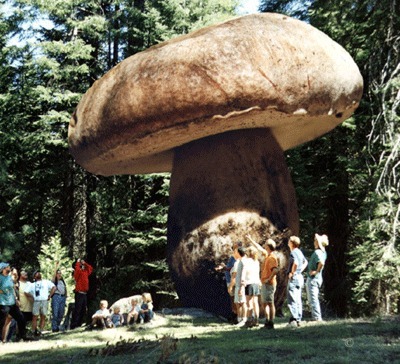 However, this giant mushroom, which has been described by The Independent as the “world’s biggest living thing” probably weighs enough more than me to offer a pretty hefty margin of safety. Beginning with just a single spore, too small to be seen with the naked eye. This monster fungus has been growing for over 2400 years. And when I say growing, I mean and how. Conclusion: It’s safe to assume, this super shroom weighs more than me! This entry was posted in Uncategorized on July 13, 2012 by fatchicksings. I’m wondering if that cap is the only part of the mushroom that is evident above the surface. I read that just underneath the surface, it spreads for five miles and is responsible for a massive die-off of trees. My question is, just because this fungus is 2400 years old, does that give it the right to live over the right of the trees to live?